IT’S SPRING TIME AT TIMELESS! 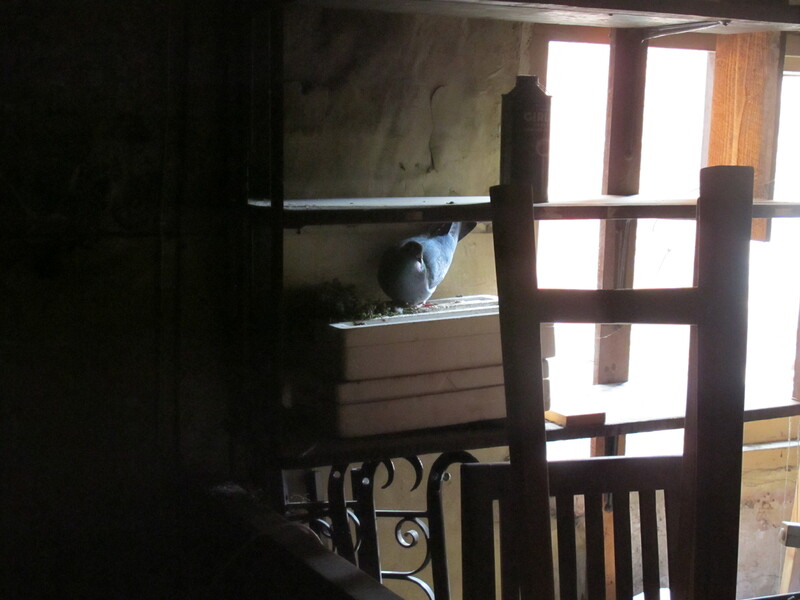 – well the pigeons think so, anyway! 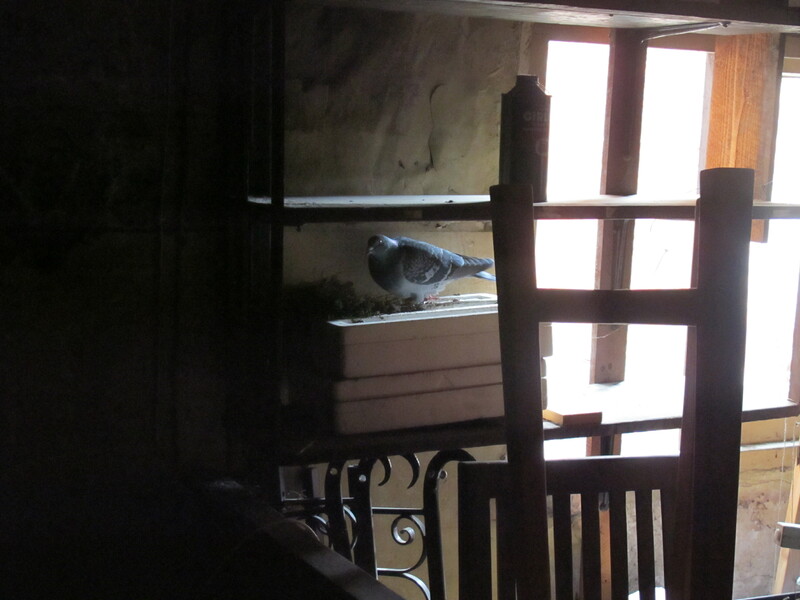 A pigeon has made her nest and laid one egg in a truly vintage storeroom area behind Timeless Vintage Clothes in Willow Street Oswestry. An “artist at work”! Wow! that’s lovely!!! such a clever bird, hope she will be allowed to hatch her young, before she is asked to leave! 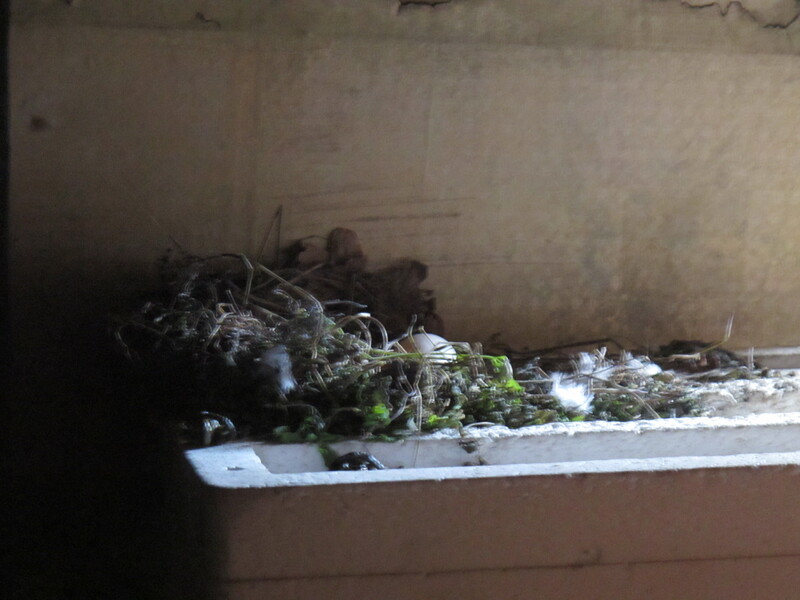 Notice how “tidy” her nest is – a proper artist!